This page lists serif fonts, which you can download absolutely free of charge and without registration – only on our website. Serif fonts – short, usually perpendicular to the bar at the end of the letter, which begins and ends with which the main sign of stroke. This is one of the main features of the font form. In the older literature it is sometimes called “cut-off”. 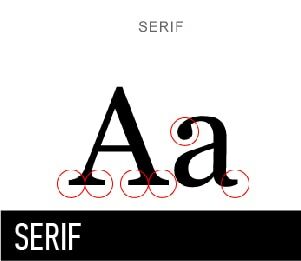 According to popular belief, serifs guide the eye to move along the lines when reading large areas of printed text. They are normally contribute to the communication of letters in a single line, facilitating visual perception and the readability of the text. Intersections are very important in shaping the pattern of fonts and their decorative qualities.